If you need three stripes, Terrex GTX ftw. MrW wrote: If you need three stripes, Terrex GTX ftw. I assume driving / public transport is an option but you prefer to walk? Surely they would be loads quicker. Crackajack wrote: I assume driving / public transport is an option but you prefer to walk? Surely they would be loads quicker. of course, i could do the journey in about 40 mins door to door by tube. Edit: Which is how i get to work when i don't walk. You need to PM the cycling thread. Your joints will be dust in a few years at the rate you are going. Bails78 wrote: Has anyone got any Chelsea Boot recommendations in the £100-£150 range. Need some for work. Preferr a silhouette similar to CP or Crockett & Jones Rough Out suede. Been looking at these for ages, not sure if they tickle your fancy…. I'm gonna pop down there and see what they look like in the flesh. Thanks for the link. On Saturday was in M&S Oxford Street and tried on there Luxury Suede Chelsea Boot, for £79.99 they are not to shabby, the soles of them are a bit naff, but the shape and feel is very nice, considering the price point and company. what were they like in the flesh? What are some good (cheaper) alternatives to the SL Jodhpur? Usually I would check Meermin, but I don't like the shape of their iteration. I came across Scarosso but it seems like an overmarketed new brand. The best option I found is the Carmina, but I would change the buckle. Or is the SL quality worth the price? SL jodhpurs hit sales fairly frequently now, I bought a spare pair for £375 from a flannels sale about a year ago. No other brands do ones which look even remotely as good. You can also buy lightly used for cheaper. Story et fall look shite in my opinion, knockoffs for upscale counterfeit shoppers. They've been in Bicester too. edlo wrote: SL jodhpurs hit sales fairly frequently now, I bought a spare pair for £375 from a flannels sale about a year ago. No other brands do ones which look even remotely as good. You can also buy lightly used for cheaper. Story et fall look shite in my opinion, knockoffs for upscale counterfeit shoppers. They've been in Bicester too. Thanks, that's very useful info. Anyone able to advise how Trickers last W2298 runs size-wise? I'm 8.5 Vibergs & Cons, looking at Trickers 8.5 using W2298 last. 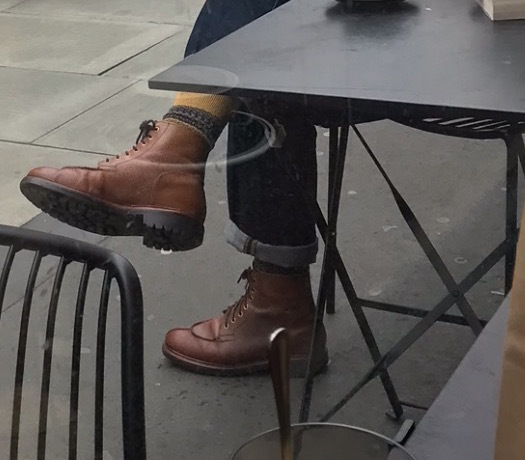 can anyone ID these for me please? I've seen a few nice pairs of trickers kicking around on sale recently. ^ good shout man, thanks. How do Trickers size?